Ah crap! The mugs were what I really wanted. Seriously I drink like 2 pots of coffee a day. I have already gone waay over my discretionary spending. If you can't have them for sale all the time please bring em around Father's Day. I am hard to buy gifts but this would be perfect. 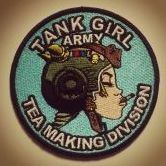 Tis store is gonna stay open, and later in the year we will add tank tops, and maybe even a banner for the garage. Also, Im working on Apple and Samsung phone cases right now! Oh, I need one of those! I just ordered. I am not sure how I missed this until now. 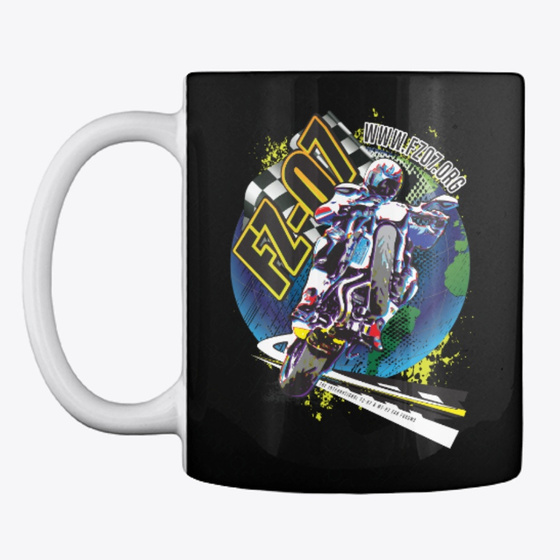 Don't miss out, get your FZ/MT 07 forum shirts! The coffee cup is mine! It would be great to add another wall decor tin to my collection of MC tins if there's enough interest in having those plates made. Could be on a license plate as well. 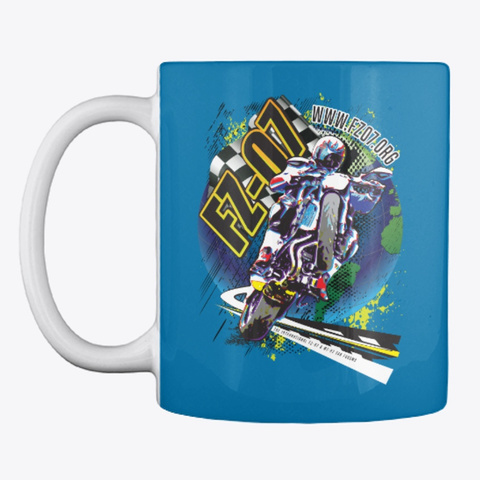 Guys, please consider posting a pic of your shirts and mugs when they arrive so people can see the finished product! I just got my notice it shipped today and a tracking number. Says it should be here in on the 25th. I went with the cheap shipping. Just ordered my FZ 07 long sleeved tee. Please post pics when you get it! My shirt arrived in the mail today. It looks great, a very good quality Hanes shirt. I will be wearing it a lot. Any chance you could post a pic of the back? I wanna see how it comes out on the orange. Sorry, but I ordered the one that only has graphics on the front. There was a bit of a delay with DHL. This just got delivered today! Looks good on the purple shirt! @Cruizin, is there any chance of having a shirt made with a MT07 logo instead of FZ07 but still keep the design the same? Not trying to be picky, just curious. Nevermind. Just found the MT07 shirt. Love your avatar man, lol. Can relate! Love that movie. When I saw that avatar I had to use it. 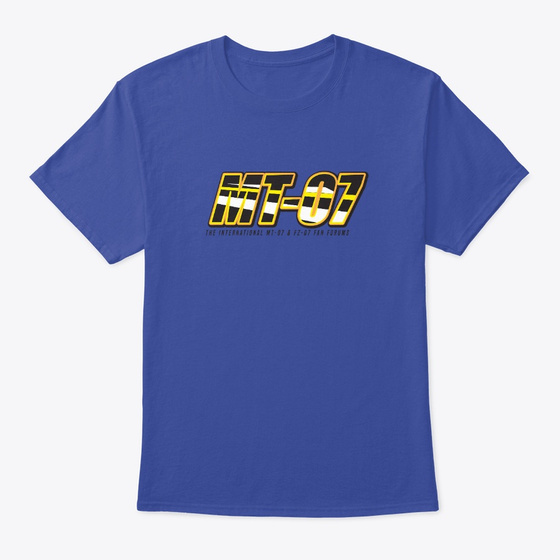 And for everyone else, yes, here is the MT-07 version of the shirt, available in multiple colors and hoodies too!